Something an expat often hears from family and friends is “but what do you do there?” Sometimes they are let down to hear that in general, our lives are not much different from other retirees. That is not the whole story though, since we are also living day to day in a different culture, and often lead a different lifestyle. 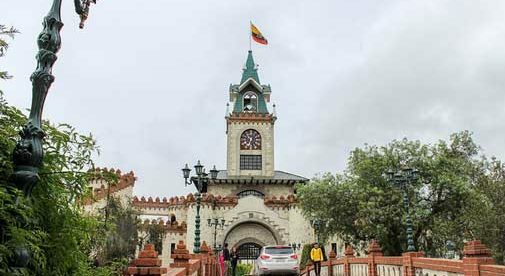 That lifestyle will vary a lot with the person and with the community in which they choose to settle, but let’s take a look at how you might spend your day in the laidback town of Loja, Ecuador. Loja is the capital of Loja province, and is a small city of about 250,000 people, sitting in the southern Andes at an altitude of about 7,000 feet. It’s altitude and position just less than four degrees south of the equator give it a pleasant, mild climate year-round. There’s a rainy season and a drier season, but no big temperature extremes. Loja is known as the “Music and Cultural Capital of Ecuador” or the “City of Music”, and is also home to several large Universities and a host of smaller colleges and technical schools. 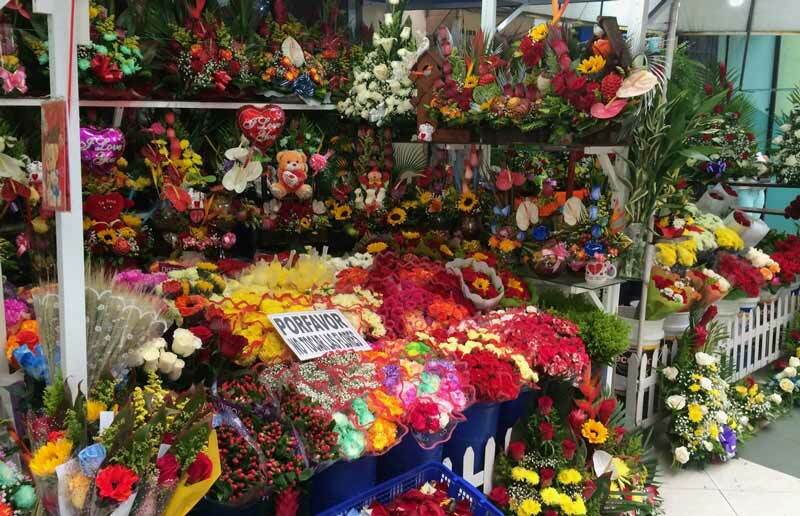 Let’s start your day in Loja with a visit to the Mercado Centro Comercial, right in the heart of downtown. Here you can get a nice tigrillo de verde for breakfast on the second level food court. This is a delicious mix of green plantains, onions, cheese, cilantro, and more. You can get it with sausage or ham mixed in, and with an egg on top. Served with coffee and juice, this hearty breakfast will cost you about $2.50. Before you leave, you could maybe pick up some fresh flowers or some produce to take back home with you. Of course, you may take your time heading home too. Just a few blocks from Centro is Parque Central, across from the Catedral de Loja. You could relax there for a while, and probably catch a free performance from the musicians that are almost always there. If not, it’s just a few more blocks to the Museo de Musica. You can stroll through its beautiful wooden floors, reading about famous musicians of Loja, or enjoy live music in the central courtyard garden. If the weather is sunny (as it often is), you could take a longer walk down to the famous City Gates, and see what is on display there, or climb to the top of the clock tower for some panoramic views of the valley, and spend some time watching the windmills spin up on the ridge. This is also a great spot to pause for lunch, so you could enjoy the food and the view from the restaurant inside the gates. But there are plenty of other options for lunch too, if you feel like moving on. One of my favorite spots is back near Parque Central, at the Dumas Trattoria & Restaurante. Chef Roberto Delgado will smile and greet you, and you’ll enjoy the French twist he gives to almuerzos. 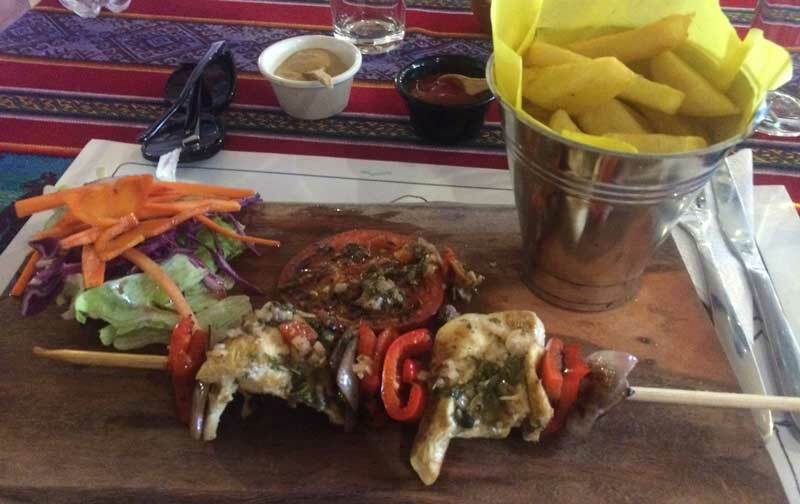 In Ecuador, almuerzo doesn’t just mean lunch—in this case, it implies a lunch special that is more economical than ordering a la carte. At Dumas, it follows the typical pattern of a soup, an entrée with some sort of meat or fish, small sides with rice, a dessert, and juice. The desserts are homemade specialties, like carrot cake, and your choice of entrée is a bit out of the ordinary for Ecuador, like maybe pork tenderloin served in a plum sauce. Still, these delicious meals stay between $3 to $5 per person. After lunch, the whole day stretches before you. You could visit the Podocarpus National Park for a spirited hike or trail bike adventure; drop by the Municipal Pool for a swim; attend an art class, or a get a lesson in guitar or piano. 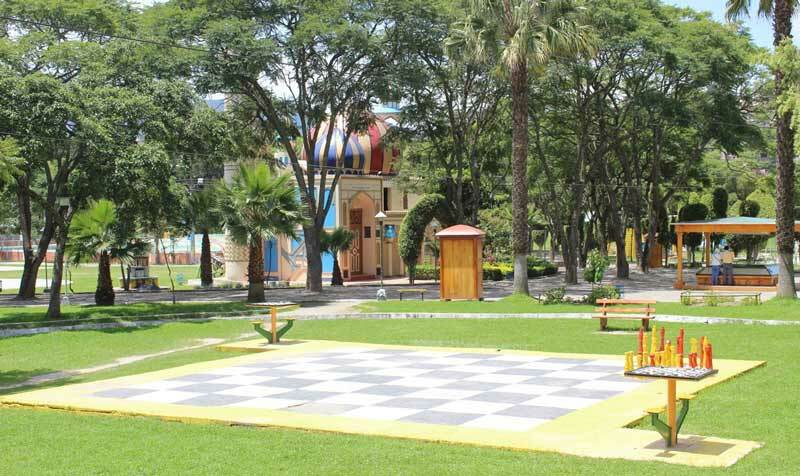 Or if you prefer something less strenuous you could even stop by Parque Japiro, and see if anyone would like to play a game of lawn chess, or just the regular version on one of the surrounding smaller tables. And don’t worry if all this traveling around sounds tiring. You can use the bus system to get just about anywhere quickly using spare change, or flag down one of the new all-electric taxis. You can get a taxi to just about any spot in town for a few dollars. In the evening, a full world of culture unfolds for you. 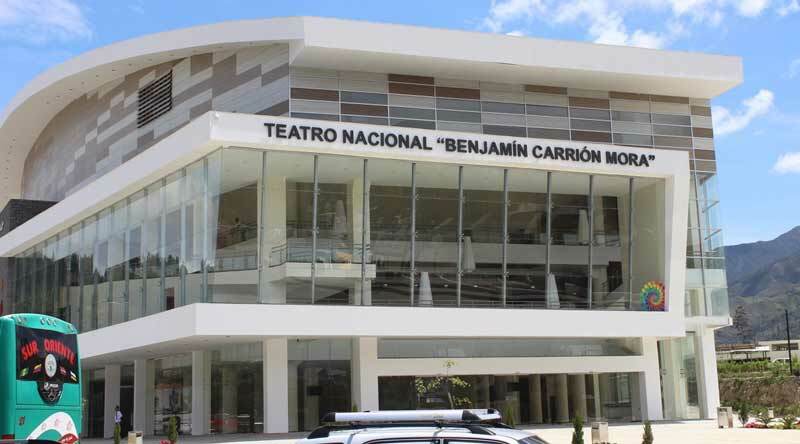 You can choose more passive activities and attend the cinema for a film, check out the Universities and Colleges to see what events are available, or visit the new Teatro Nacional for a more professional performance. Ready for dinner after a show? You could take another electric taxi to the Kusi Runa (the name means “Happy Man” in Quechua), and sample a menu based on traditional South American indigenous foods. This restaurant is decorated with native art, and is a wonderfully relaxed and interesting place to dine—and most entrées are priced between $8 to $12. If you are in the mood for something more familiar, just a block or two down the street is the Zarza Brewing Company, where you can get artisanal beer with pizza, hamburgers, tacos, chili, and more. I was a little choked up on stage at the amount of applause when I proclaimed to the audience, “Hooray, I’m fat.” Maybe I should explain a bit here. I was giving a talk at a recent International Living conference.